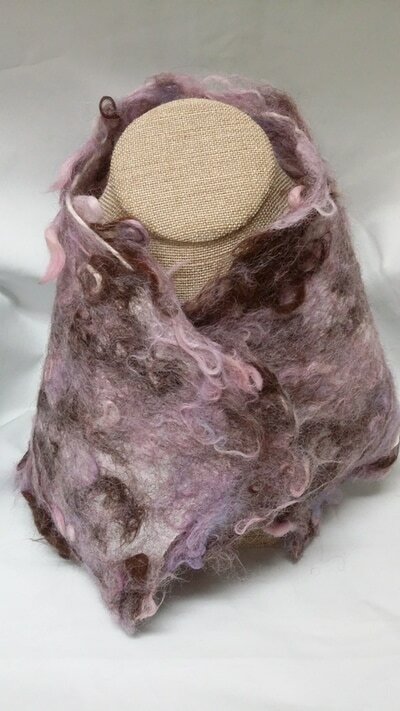 Learn to make a gorgeous Nuno felted scarf ​using alpaca fiber. Nuno felted scarves sell in high end stores and boutiques for hundreds of dollars! SPECIAL BONUS FEATURE OF THE WORKSHOP!!! Visit the alpacas and shop in the alpaca store! Nuno felting is a fabric felting technique developed by Polly Stirling, a fiber artist from New South Wales, Australia, around 1992. The name is derived from the Japanese word "nuno" meaning cloth. The technique bonds loose fiber into a sheer fabric such as silk gauze, creating a lightweight felt. The fibers can completely cover the background fabric, or they may be used as a decorative design that allows the backing fabric to show. 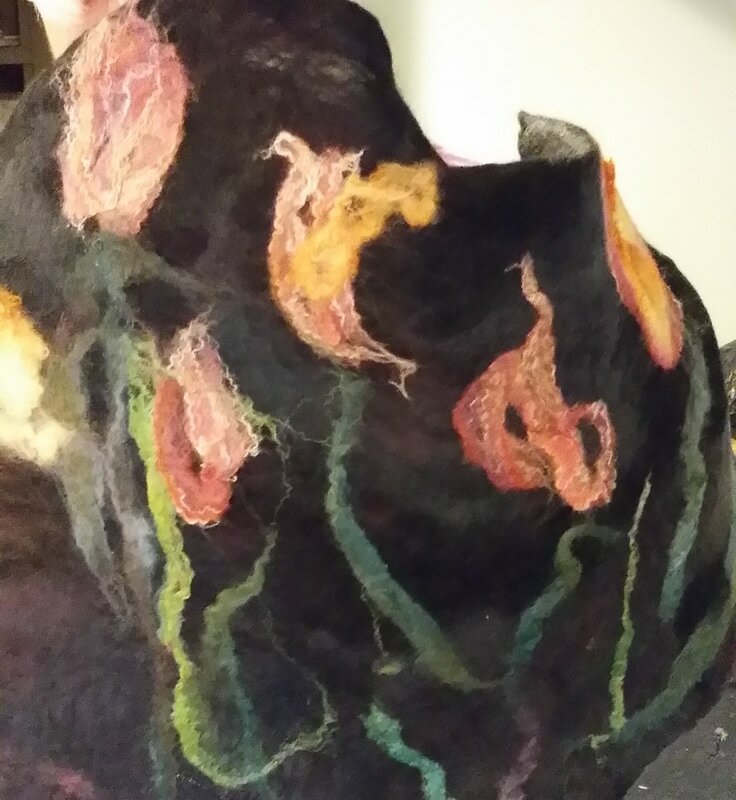 Nuno felting often incorporates several layers of loose fibers combined to build up color, texture, and/or design elements in the finished fabric. 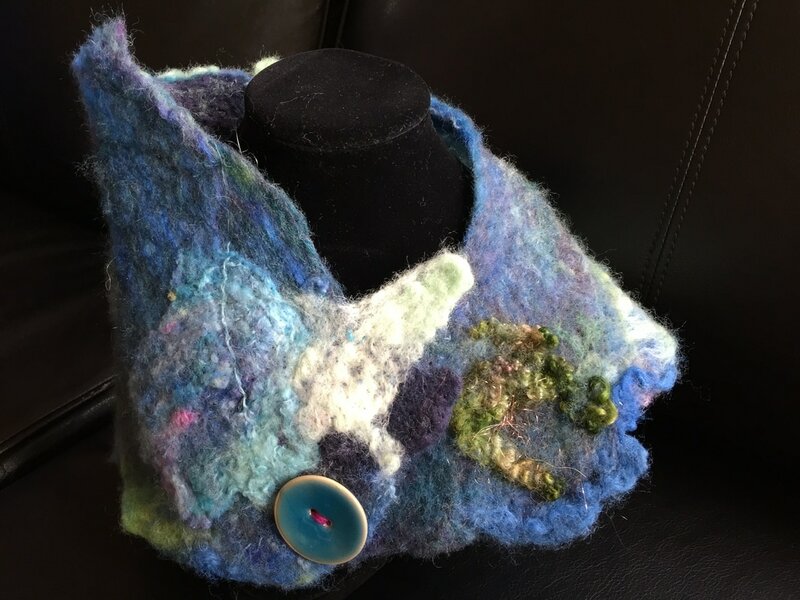 Students will be given a silk scarf and then they will choose from a large selection of alpaca fiber to use for creating a nuno felted design on the scarf. Nuno felting techniques will be taught. The student will take home a lovely nuno felted scarf.